The American Society of Clinical Oncology and The Harris Poll recently collaborated on the second annual National Cancer Opinion Survey. The 2018 investigation revealed many Americans mistakenly believe alternative medicine alone can cure diseases such as mesothelioma. The Harris Poll collected answers from approximately 5,000 adults between July 10 and August 10, 2018. Of the respondents, 20 percent were cancer survivors. The results uncovered important information regarding what Americans understand about cancer. The survey identified areas where more health education is needed. The survey revealed how deeply beliefs about the power of alternative medicine run. Among adult participants, 39 percent believe cancer can be cured solely with alternative therapies. Younger people are more likely to hold this view: 47 percent of respondents age 18-37 and 44 percent of people age 38-53 believe alternative medicine can cure cancer. 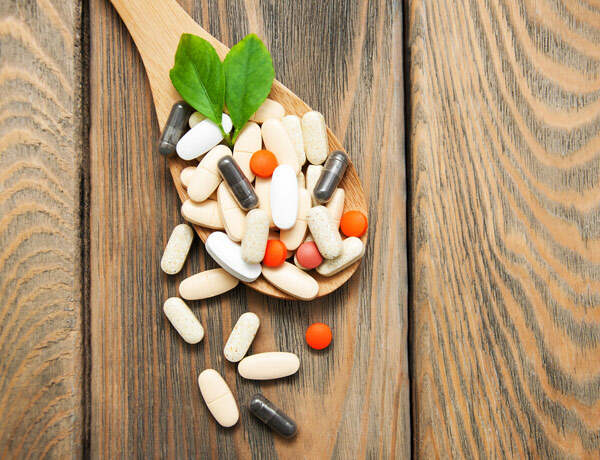 Alternative cancer therapies include a wide range of approaches, such as enzymes, oxygen therapy, dieting, vitamins, herbs and other dietary supplements. Also surprising is that more than 1 in 5 cancer survivors (22 percent) believe alternative medicines can cure the disease without the addition of mainstream medical treatments. Nearly 4 in 10 family caregivers of cancer patients (38 percent) also indicated a belief in the curative ability of alternative medicines. Even with no conventional cancer care — such as chemotherapy, radiation therapy or surgery — these family caregivers claimed alternative medicine options could cure cancer. Until very recently, oncologists didn’t have much information on outcomes for people using alternative medicine alone compared with patients who receive conventional therapies. Most cancer patients who use nonconventional medicines try them in combination with chemotherapy, radiation therapy or surgery. People with cancer who opt for alternative medicine alone often are not followed or seen by mainstream medical treatment facilities. People self-treating early-stage cancer with alternative medicine may later receive conventional therapies for advanced cancer, and their earlier alternative medicine use may not be captured in the medical record. Some patients who use alternative medicine to treat cancer go to clinics in other countries. Many experts study this topic and work to fill in the knowledge gaps. For example, the National Cancer Institute provides information about the potential benefits of acupuncture for symptom management during chemotherapy. Still, this doesn’t tell us anything about what alternative medicine alone can or cannot do for cancer patients. Two recent studies have helped address this question. A study published August 10, 2017 in the Journal of the National Cancer Institute compared survival after a cancer diagnosis in people using alternative medicine alone versus patients receiving conventional cancer treatments. Patients with lung, breast, prostate or colorectal cancer treated with alternative medicine alone had a death rate 2.5 times higher than patients receiving surgery, radiation, chemotherapy, immunotherapy, or hormone therapies. A similar analysis was published in October 2018 in the Journal of the American Medical Association. The researchers teased out the effect of alternative medicine on 5-year survival rates, taking into account how treatment may be delayed by the choice to try nonconventional treatments first. The risk of death was twice as high in the complementary and alternative medicine group compared with the conventional treatment group. However, this reduced 5-year survival rate disappeared once the authors adjusted for delays in conventional treatment caused by trying complementary medicine first. In other words, there was nothing about the complementary medicine itself that worsened survival. It was that using nonconventional treatments led some patients to delay receiving appropriate mainstream cancer care. It was the delay in delivery of chemotherapy, radiation therapy, surgery or hormone treatments that mattered most. What Does This Survey Mean for Mesothelioma Patients? With an aggressive, difficult-to-treat cancer such as mesothelioma, it is natural to seek ways beyond conventional treatment to improve survival. For many patients, this can offer a sense of control and help with coping. While alternative therapies are not proven to improve or worsen survival after a mesothelioma diagnosis, using them instead of mainstream treatment can cause real harm and decreased survival. If you are eager to try alternative medicine options, discuss this with your oncologist first. You may be able to add these to your existing mesothelioma treatment plan in a way that will not jeopardize your ongoing conventional medical care. But research shows that using alternative medicine alone decreases survival in a variety of tumor types. American Society of Clinical Oncology. (n.d). National Cancer Opinion Survey, Harris Poll on behalf of ASCO, 2018. National Cancer Institute. (2018, November 15). Acupuncture (PDQ®)—Health Professional Version. Johnson, S.B. et al. (2017, August 10). Use of Alternative Medicine for Cancer and Its Impact on Survival. American Society of Clinical Oncology. (2018, October 30). National Survey Reveals Surprising Number of Americans Believe Alternative Therapies Can Cure Cancer.